The Distinguished Young Woman of Sevier County for 2018 is Leah Humble, from Sevierville. 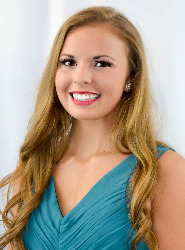 The Distinguished Young Woman of Smoky Mountains for 2018 is Virginia Eskew, from Morristown. Great Smoky Mountain Dance Theater • First Baptist Church • Central Services • Access Life • Girls Inc.